With all the newer, fresher diet fads on the market, such as those that cut out meat entirely or that focus on low carbs, one diet from that 1950s is quickly becoming popular again. 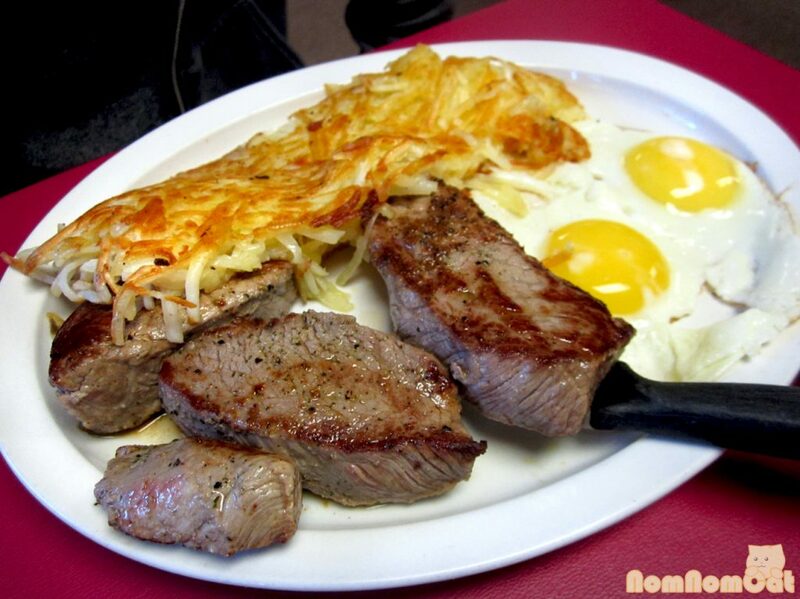 The Steak and Eggs diet was initially created by a bodybuilder named Vince Gironda. Many people have used the diet since, claiming it easily allowed them to lose weight without feeling hungry and that it’s very effortless and requires little thought. However, some wonder if such a diet can be healthy, so it’s best to take a more in-depth look at the diet to decide if it’s right for you. You should also determine how many calories you should consume or cut back on so that you know how many calories you need while on the diet. Put simply, the steak and eggs diet cuts out all other foods and food groups. You eat three meals a day with steak and eggs, cooked how you want. You still get some variety, as you can cook the steak to different doneness and cook the eggs a variety of ways, but you only get those two foods each day. The one change is that you do add a cheat day once a week, where you can fill up on all the carbohydrates you’ve missed out on during the week. While some have said this diet is similar to the CKD diet, keto diets tend to be higher in fat and moderate in protein. The goal of the steak-and-eggs diet is to have zero carbs and live off a truly carnivorous diet that only features steak and eggs. You eat this for three meals a day (or you can eat up to six smaller meals throughout the day). You can cook and prepare the foods a variety of ways and can use various spices to help shake things up. There is a cheat day every six days, which allows you to refill your glycogen stores for the muscles. Because it was created by a bodybuilder, the goal was to build muscle mass quickly; protein is the best way to do that, but you do need other things, such as carbohydrates and some fat. While you can get fat from the eggs and meat, they both have few carbs, which is why the cheat day is included to help refuel the body. However, you can do the Steak and Eggs diet without a cheat day at all and continue the meal plan for as long as you need to bulk up or lose weight. While there haven’t been extensive studies proving that the diet works, it’s easy to get the information for yourself and determine the benefits. For one, red meat can help lower cholesterol and blood glucose levels, especially if you remove the carbs. For another, steak and eggs are very healthy for you and are two nutrient-dense foods that are easy to find. However, it should be noted that the steak and eggs diet doesn’t have several key nutrients necessary, such as calcium, Vitamin D, and Vitamin C. If you and your doctor agree, you may want to consider using a supplement or daily vitamin while on the diet. The best part of this diet is that you don’t have to plan much or buy too many different foods. 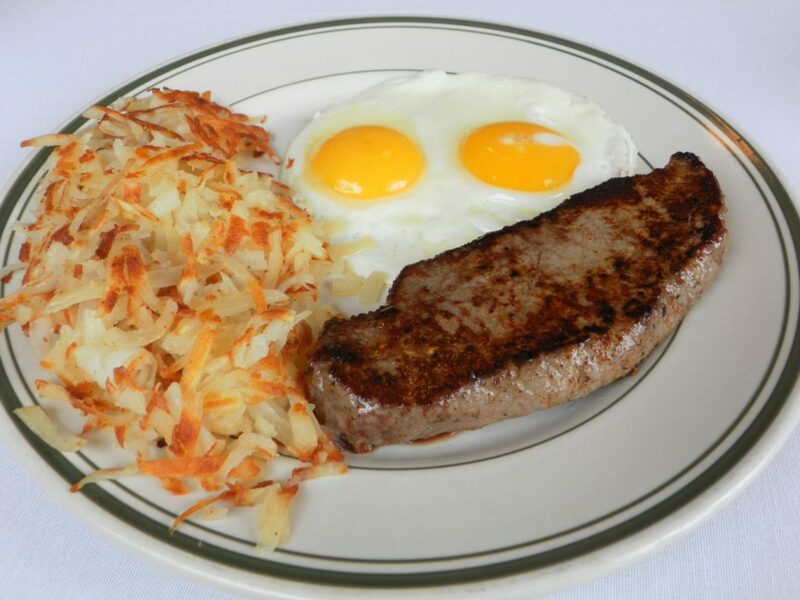 All you need is your favorite type of steak and plenty of eggs. While the diet originally had no mention of organic, cage-free, free-range, grass-fed, or hormone-free, you may choose these options for health or sustainability purposes. The goal is to eat about four to six eggs and up to 1.5 pounds of steak at each meal. While they recommend two meals per day, you can choose to break it up as you see fit. You’re also allowed to use butter, salt, pepper, and other spices, such as steak seasoning. Below, you can find a sample menu. This menu follows the two-meal per day option, but you can choose to break up the two pounds of steak and eight eggs into three or four meals if you prefer. Cooking the eggs different ways, such as frying, scrambling, poaching, hard-boiling, or have them sunny-side up. Use a variety of spices and seasonings to change the flavor. Do not add vegetables or other meats to the eggs. You can also choose to make a scrambler by mixing your steak directly into the eggs. For your cheat day, you should stick to the two-meal plan and eat roughly the same amount of calories as you get with your Steak and Eggs plan, which is roughly 3,100 calories. The goal of the cheat day is to refuel on carbohydrates, so choose sweet potatoes, fruit, dairy, grains, and sugar. You can also eat any other meat you like and may even eat fast food. Just watch your caloric intake. There are no snacks allowed during the six-day plan, though you can eat when necessary on your cheat day. Along with such, alcohol is also forbidden throughout the week, but you can drink alcohol in moderation on your cheat day. While it can be mentally challenging to eat only two foods for the duration of your diet, it can help you lose weight. For one, it’s full of protein, which keeps you full longer. You are more satisfied, so you want to eat less. Along with such, carbs can cause your glycogen to store up too much. While it’s designed to give you energy, it also requires you to retain more water. Cutting out carbs for all but one day a week ensures that your body doesn’t store up unnecessary water, which helps you slim down faster and look better.